The Amel Super Maramu is well known to cruisers worldwide as a strong and able offshore vessel, easily sailed by a cruising couple or single handed, outfitted in a way that provides maximum comfort and safety with abundant, easily accessible storage for all the things one needs for long offshore passages. 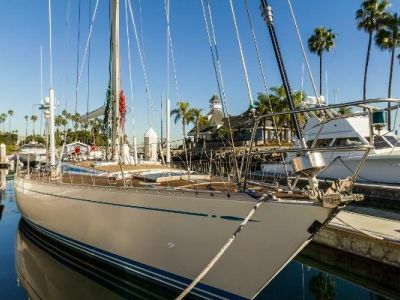 MEANWHILE is easy to handle with her roller furling and electric winches, and is easily maintained with her faux teak on deck and beautiful African Mahogany below. 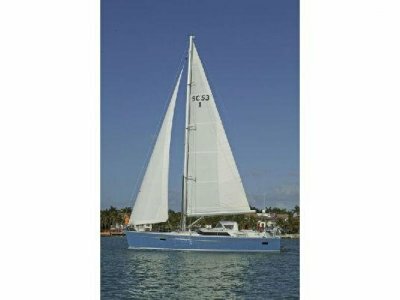 The port bow has a spacious anchor and rope locker and the starboard bow has a large sail locker, both accessible from the deck. Below is a chain locker accessible through a watertight hatch in the forward collision bulkhead, forward of the V-berth Cabin.